eabaker wrote: My only problem with that scene is that the narrative hadn't actually earned it. I'd been waiting for a scene like that in a kaiju movie; just being in awe of a massive, living thing instead of just, you know, running from or attacking it. lhb412 wrote: To me, this just means that Dougherty is obsessed with making the kaiju characters. He's a died-in-the-wool monster kid, and no matter how much of these performances end up actually being used I think it's a good sign. Oh, I don't think there's anything wrong with it. Just surprised and puzzled. With all the time in post production, I am really anxious to see how this movie will turn out. I'm with you here. It's not BAD....it's not GOOD....it's just...CONFUSING. I feel like a lot of people are acting like it's great news or something and to me it's just.....is. Everyone remember this from two months ago? Amalgamated Dynamics, Inc. (ADI) worked on G'14 and is working on the sequel. On March 7, 2018, the studioADI YouTube channel posted a video titled "Andy Muschietti Designs Pennywise Collectible" running just over five minutes. At the 3 minute, 23 second mark in the video, an innocuous computer monitor in the background could be seen with this desktop background image, featuring CGI models of what could plausibly be a conceptual redesign of King Ghidorah made for Godzilla: King of the Monsters. At the 3 minute, 55 second mark in the video, an employee in the background seems to take notice of the monitor because she walks over to it and opens up a white window that takes up the whole screen. The next time we glimpse the monitor, it's playing what looks like a photo slideshow of someone's family, possibly the computer's screensaver. A YouTube user made a comment on the video referring to the creature in the image as King Ghidorah. At 2:59 PM, the studioADI account responded to the comment saying "Ha. Sorry guys. Not Ghidorah. That is an old design for defunct project titled LUCIFER from ten years ago." At 3:12 PM, the studioADI account removed the video in question from its channel. There is a short flim called Lucifer from 2007 listed on IMDB, and it is currently viewable on YouTube via an account called DaveLoneRanger which posted it on December 5, 2007. The short does feature a similar-looking dragon creature, however, the dragon in Lucifer looks considerably different than what was seen on the computer monitor in the now-removed studioADI video. The dragon in Lucifer has four heads instead of three, the necks are much shorter, it has hind wings instead of hind legs, and it has only one tail. The dragon glimpsed in the removed video had long hind legs like a giraffe; two long, serpentine tails; and three heads on long necks looming tall in a towering stance not unlike the classic King Ghidorah posture. It looks like studioADI actually did reupload that video to their YouTube channel on March 12, with every single shot of that CGI dragon model now edited out. The shots that revealed the computer monitor were previously visible from 3:23 to 3:55 but they've been replaced with alternate footage. Subsequent shots in which the monitor is playing a family photo slideshow are still intact. They are hiding that three-headed/two-tailed dragon. 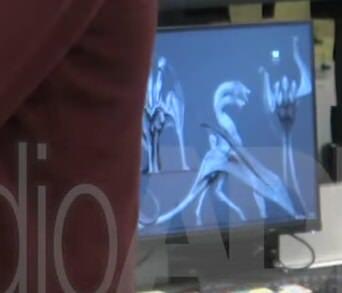 I still think Michael Dougherty was telling the truth on Twitter, that this isn't the Ghidorah design that will appear in the finished film, but it's pretty obvious that this is one of the conceptual designs that ADI came up with for Ghidorah and they aren't authorized to reveal it at this time. ^... you know, the more I see it the more I don't mind the long, thin hind legs. ..... but I think you're right on the money: concept art, not final design. I think that's very likely to be the case, yes. One of several designs floated/considered, but not the one that ended up being used in the end. They came up with all kinds of outlandish concept designs for Godzilla himself for G14, so it is indeed possible history has repeated itself and we get a much more traditional King Ghidorah in the final film. I'm looking forward to seeing what designs they settled for, not just for Ghidorah but also Mothra and Rodan. Shouldn't be too long now, SDCC perhaps? It would make sense to release the first trailer somewhere around then. Do we know for sure how much ADI's involved in this? Like are they the sole creature designers? They worked on the first film but I believe they only did the cave fossils right? ^ I don't know anything about the breakdown of labor between effects houses. Did Dougherty mention the main creature designers by name on the Mick Garris podcast? tbeasley wrote: Do we know for sure how much ADI's involved in this? Like are they the sole creature designers? 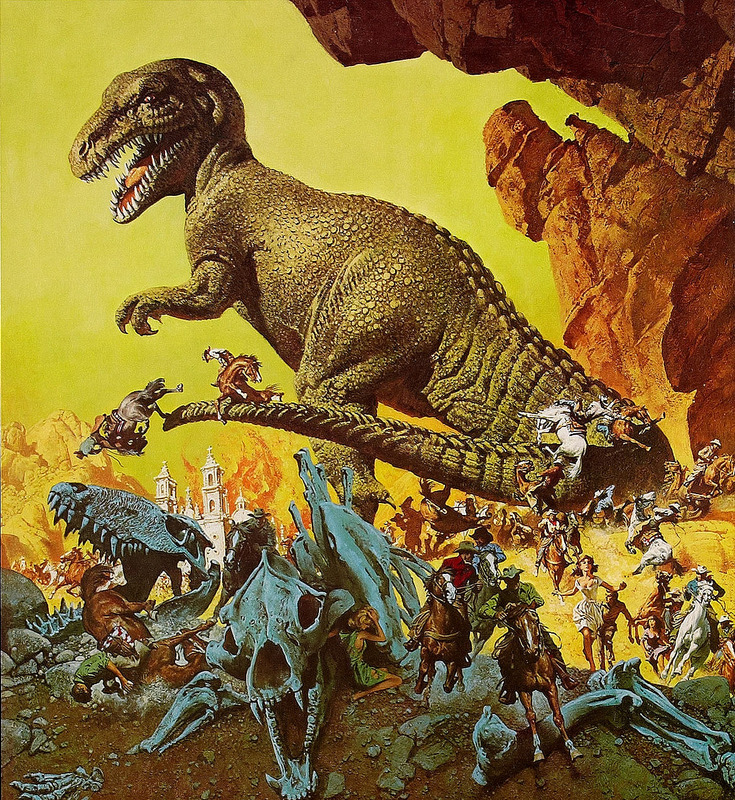 They worked on the first film but I believe they only did the cave fossils right? ADI co-founders Alec Gillis and Tom Woodruff Jr. are both credited on IMDB as creature character designers for Godzilla: King of the Monsters. Michael Heintzelman is credited as ADI's creature character design coordinator. Legacy Effects is also listed as doing creature character design work. Is this something Dougherty added the 'Monster Zero' label to, or could be something actually from the film? 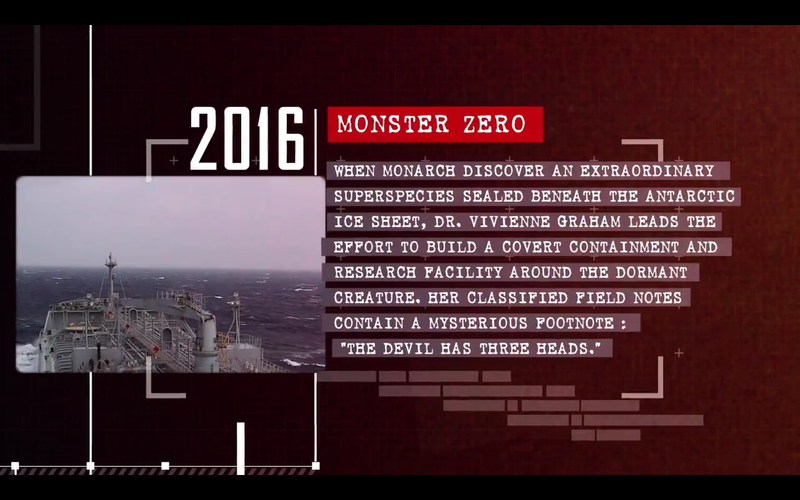 Come to think of it; this isn't the first time the phrase 'Monster Zero' has been used, right? It also looks like it says "TITANUS" down in the bottom-left corner. To what could that be referring? Maybe a warship? lhb412 wrote: Come to think of it; this isn't the first time the phrase 'Monster Zero' has been used, right? I think they're really going to use the Monster Zero moniker for King Ghidorah in this film. King of the Monsters just got bumped back two months to May 31. The culprit: filling the hole created by the Mark Wahlberg's Six Billion Dollar Man movie, which is scrambling to find a new director and will not be ready in time so WB is giving Godzilla its big, summer release date and bumping the Bionic Man back to 2020. Fine with me. Gives them more time to polish. Wasn't it originally slated for June anyways? ^ It was originally slated for June 8 of this year. If they had stuck to that date it would be opening two weeks from now. Paramount muscled in on that date with "Transformers 6" (now Bumblebee) back in 2016 and WB eventually moved Godzilla 2 to March 2019, and then Paramount ended up moving Bumblebee to December anyway. Now the early June date will belong to Ocean's 8, Hotel Artemis, and Hereditary without any CGI giants in sight. The weekend after Memorial Day is a prime Summer slot. WB has hit paydirt there with Wonder Woman in 2017 and San Andreas in 2015. Godzilla opened on the weekend before Memorial Day, now Godzilla: King of the Monsters will open the weekend after, and finally Godzilla vs. Kong will open on Memorial Day weekend! Feeling pretty good about this release date, but I thought the other one was fine, too. I don't think anyone mentioned that in the original March release date it would be a week after Jordan Peele's new horror movie. It's not a special effects tentpole, but considering he made what was pretty much the movie of the year in 2017 I wouldn't count out it being another surprise blockbuster. ^ Jordan Peele's Us will definitely be one to watch in 2019. 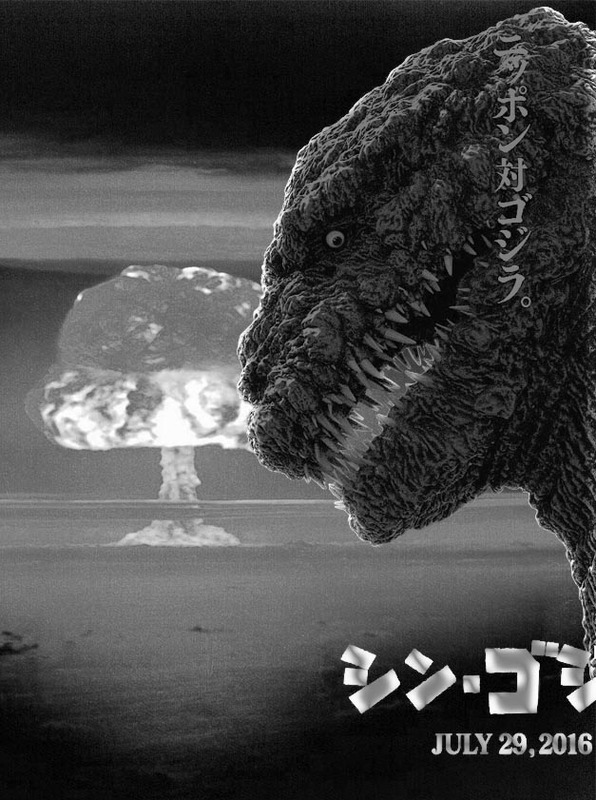 I think Godzilla 2 would have been fine opening in its wake. Kong: Skull Island opened just two weeks after Get Out and both movies performed at their own best-case scenario levels. I was starting to really like the notion of March being a kaiju month three years in a row. After Power Rangers and Pacific Rim: Uprising both opened on the second-to-last weekend of March and failed to catch on with general audiences, maybe this move is also WB's way of trying to keep Godzilla 2 from following suit. Of course, it is not going to be without its stiff competition. As I understand it, the live-action feature of "Aladdin" will be released the weekend prior, and as we all know, Disney movies can be a magnet with audiences. We shall see how this will play out. And I am glad that it is now officially called "Godzilla: King of the Monsters" (colon, instead of a coma as titled in the 1956 version). Leaving out the "the" was driving me crazy! the question i ask is godzilla 2 in a better place than before? Gwangi wrote: Of course, it is not going to be without its stiff competition. As I understand it, the live-action feature of "Aladdin" will be released the weekend prior, and as we all know, Disney movies can be a magnet with audiences. One of the reasons I was excited about Godzilla 2 opening in March 2019 was that it essentially would have been a repeat of March 2017. That March had a live-action remake of an animated Disney film (Beauty and the Beast), a Jordan Peele thriller (Get Out), a Marvel comics adaptation (Logan), and a kaiju movie (Kong: Skull Island) all sharing marquee space and each performing at their own peak levels. This coming March is set to deliver the same kind of back-to-back offerings with Dumbo, Us, and Captain Marvel but now it won't include Godzilla: King of the Monsters. Kong thrived at the box office even as Beauty and the Beast opened to a new March record debut of $174 million in Kong's second weekend. I think Godzilla 2 can do just as well on its own terms alongside Aladdin. Henry88 wrote: the question i ask is godzilla 2 in a better place than before? 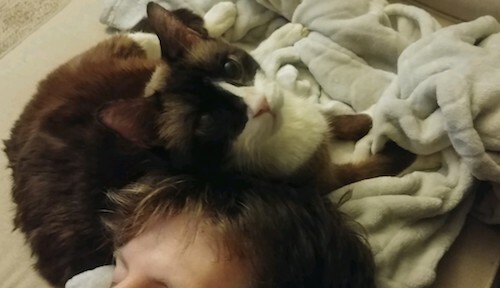 It's definitely in a more confident place than before. The folks at Warner Bros. have staked Godzilla: King of the Monsters as one of their Summer tentpoles for next year. When they delayed The Six-Billion-Dollar Man to 2020, they could have moved Shazam! from April 5 to that May 31 slot but they gave it to Godzilla 2 instead. This coming after a test screening and in the middle of post-production, they must be confident in what they're seeing so far. There are some movies that are such huge cross-demographic events that they hurt the competition around them, like Avengers: Infinity War did to Rampage. Maybe Aladdin will turn out to be something like that but even Beauty and the Beast selling more than $500 million worth of tickets in North America and over $1.2 billion worldwide didn't stop Skull Island from performing as best as a King Kong reboot could have possibly done ($168m domestic, $566m worldwide on a $185m budget). Godzilla 2 should be just fine. It will sink or swim as a Summer event on its own merits. I'm sad. Sad, I say. That's personally. I'm excited for this movie...the further it moves back, the sadder I get...I don't like distance between me and things I like. Objectively: I dunno, man...'summer' blockbuster season seems to start in FEBRUARY these days, and I feel like by the time the end of May rolls around, people are burned out already. Could be worse, could be July, which has somehow become essentially a dumping ground these days. jellydonut25 wrote: I'm sad. Sad, I say. At this point there is no blockbuster season. Star Wars in December, Thor Ragnarok in November, etc etc. Every month is now loaded with potential block busters and I am starting to get burned out because they are all starting to look the same. That won't be the case with GKOTM of course but still. Benjamin Haines wrote: ^ Jordan Peele's Us will definitely be one to watch in 2019. I think Godzilla 2 would have been fine opening in its wake. Kong: Skull Island opened just two weeks after Get Out and both movies performed at their own best-case scenario levels. At least Us gives me another film to be hyped about for the end of March since Godzilla's being displaced. Also gives me a smidgen more time for the entire series rewatch I plan to do (I'm hoping Criterion releases their Godzilla titles during the holidays to better kick that personal project off).